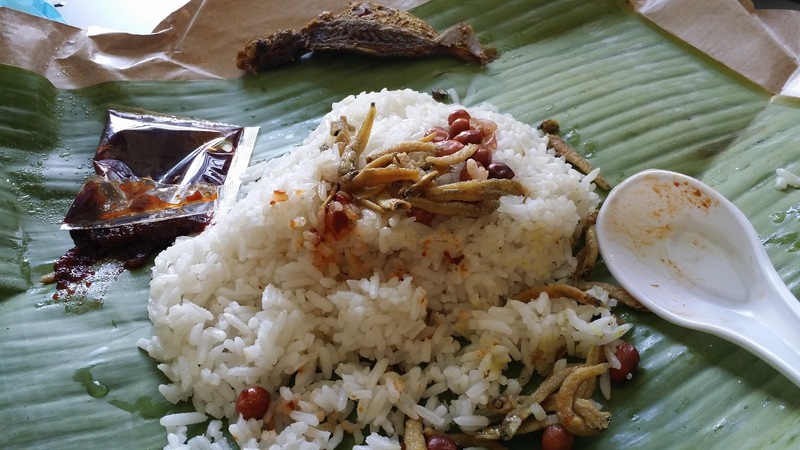 After sending Alyssa to school Goh came back home with breakfast before he goes to work and he bought me Nasi Lemak for breakfast oh well quite good cos suddenly I feel like eating rice! So I am all alone throughout till lunch time my MIL will buy lunch for me. And since is Friday she will fetch Alyssa back home and she will stay with me till Goh is back well good in a way that at least I have someone to speak to. Small Aunt came over for visit ... she told me to cook some red dates longan with dang shen is good. 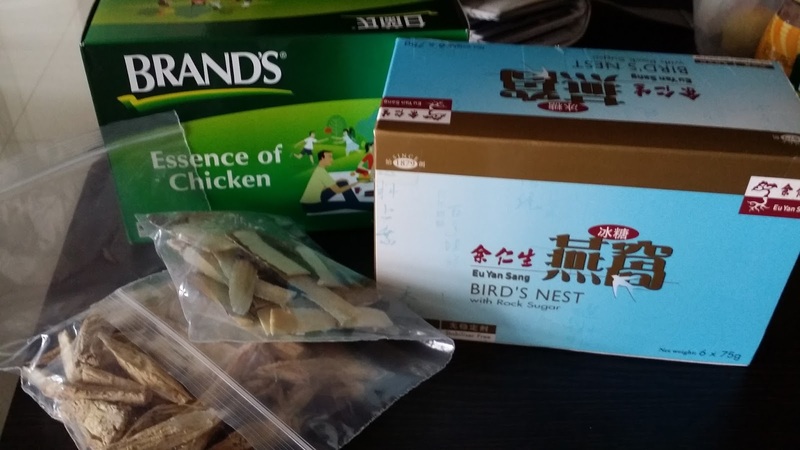 So she brought some over for me and also bird nest and chicken essence. I dun take chicken essence so all these will go into Goh's tummy! Goh will be all alone today to bring Alyssa for her Berries class and will have to pack dinner back .... he kinda bored cos usually we are always together having some time for ourselves. Just endure I am sure very soon I will be well again! Third day already and actually I cannot really take it .... I still wake up early body clock already so use to the timing and I will just walk to the living room and start to do channel surfing .... but sad that Sunday always dun have nice show to watch at all. Nua the whole day with my 2 baobei and as for dinner all of them went Le Chasseur for dinner except me! 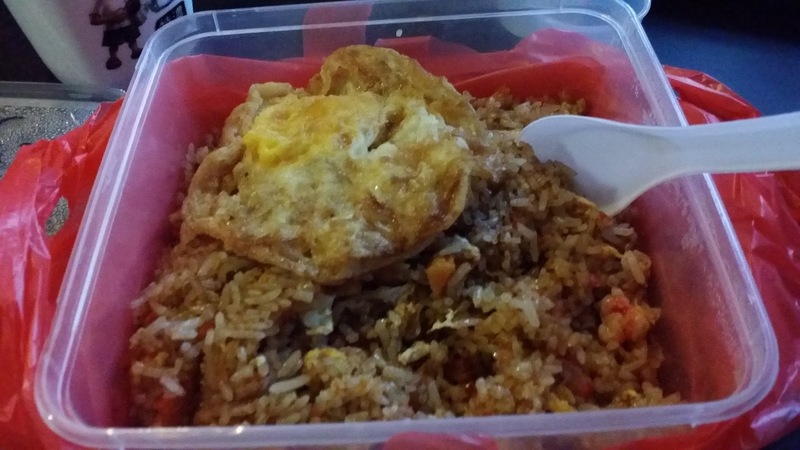 Goh pack sambal fried rice for me .... kinda oily but not too bad to eat actually. Family all came up for visit after their meal. Appreciate for the thoughts!